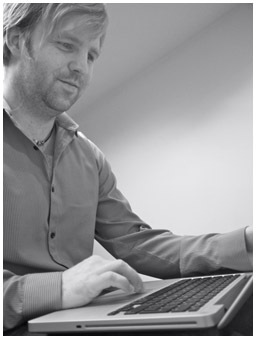 I’m Richard Trenchard, a freelance copywriter, journalist and publications specialist with more than 13 years’ experience behind me. What makes me special? What makes me stand out from the crowd? Why should you hire me? Well, put simply, my words sparkle. They shine. I make sure of that, and I’m never stuck for words. I've worked for a number of local and national newspapers, a host of national magazines and I have also produced a range of supplements and can boast titles such as the Daily Star Sunday and Sunday Express, as well as Star, new!, Saturday and OK!Extra magazines among many others in my portfolio. I have written about, and edited, a number of subjects, from sport to music and celebrities to finance. And because of my work in the media, I’m ideally placed to carry out PR work. I have a natural talent for design, as well. So if you’ve got a brochure, or a newsletter, or a magazine you need to produce, I can take the entire process off your hands. Have a look at my range of services and get in touch if you need help with your publications, words that work hard, words that connect with your customers and words that sparkle.